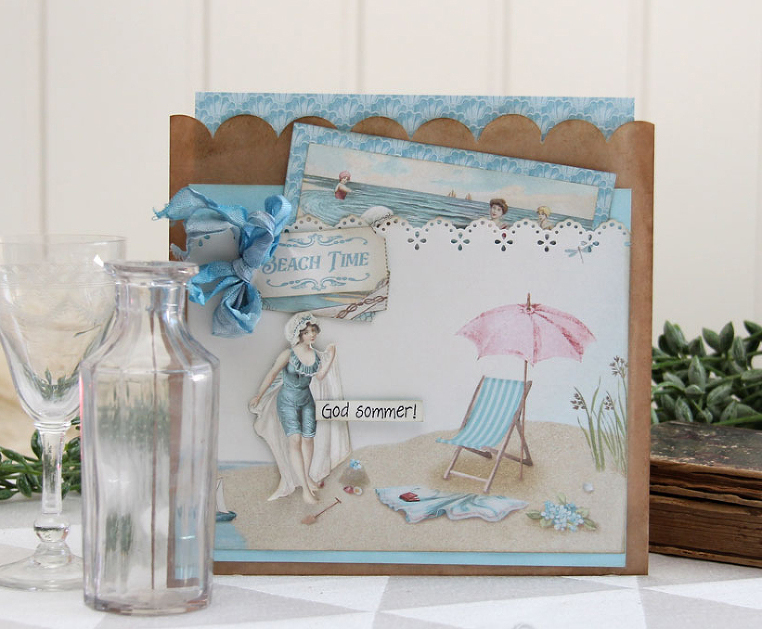 Hello, here is a bag card made from the new amazing collection Seaside Stories. Beautiful colors and patterns that give me such a Summer feeling! This is soo sooooo beautiful, and a really lovely summercard, that any of us would love to recieve I´m sure. The colors are fabulous and the scenery is just perfect and put a smile on my face at least.